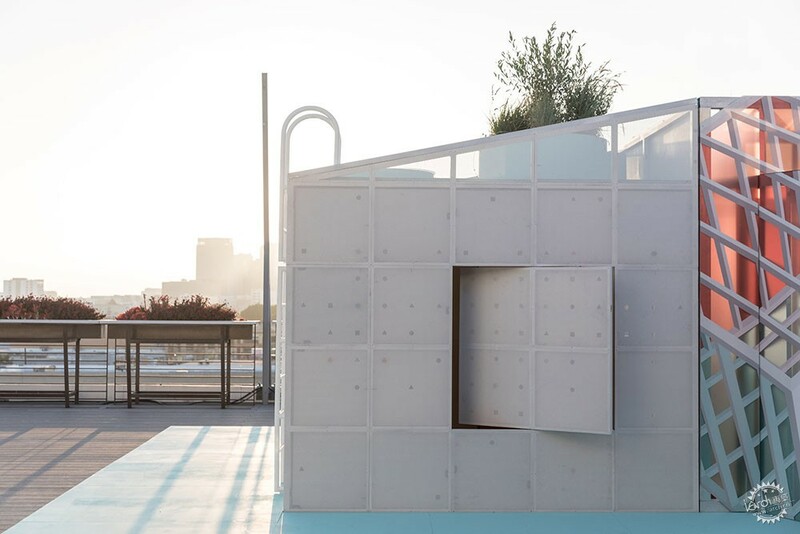 Los Angeles architecture firm FreelandBuck has created the latest edition of the MINI Living Urban Cabin, a prototype micro home installed on a rooftop in the city's Downtown area. 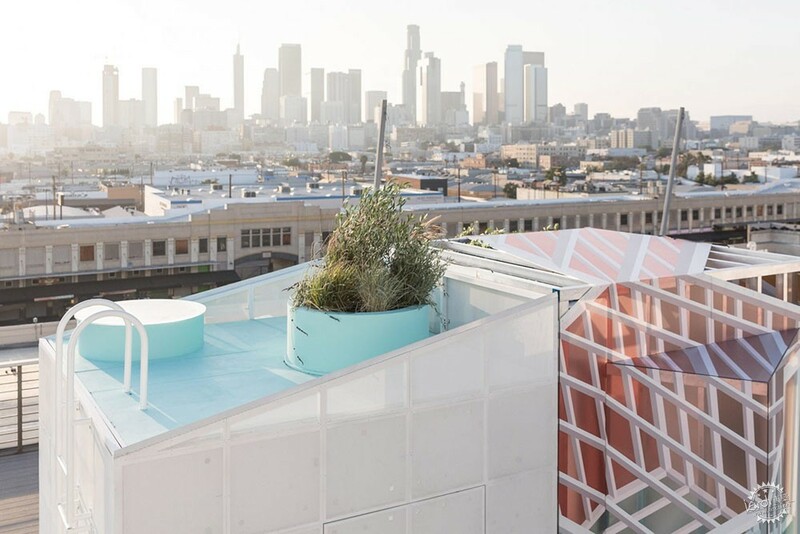 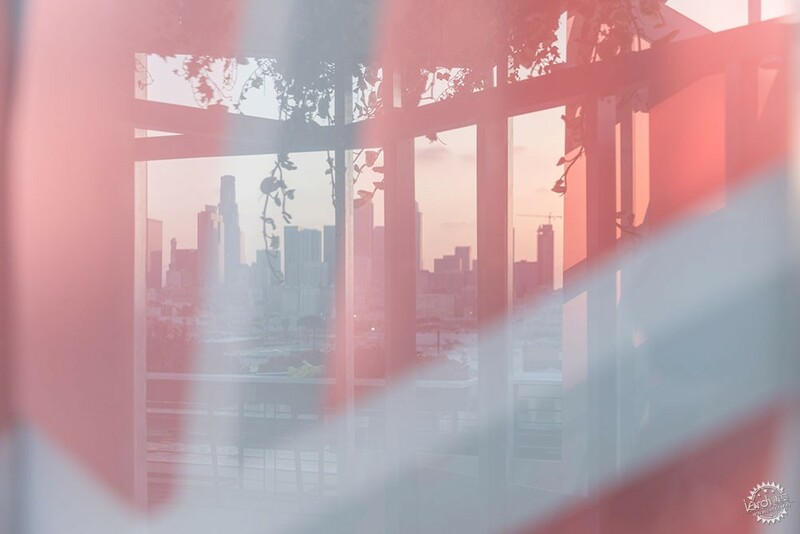 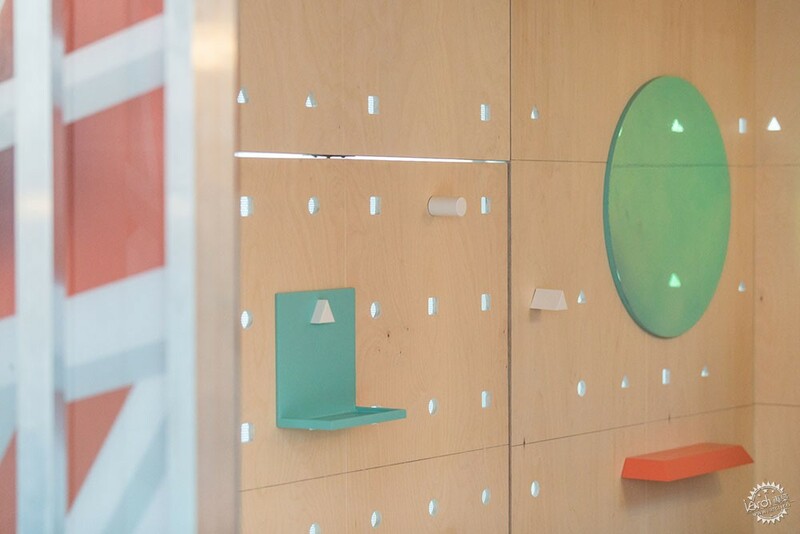 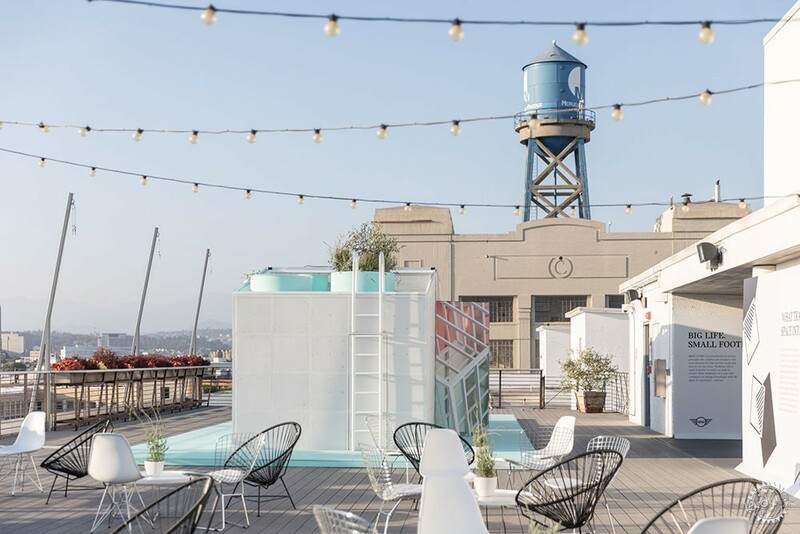 Working with MINI Living's design team, the studio created the site-specific project for the LA Design Festival, which took place 7-10 June 2018. 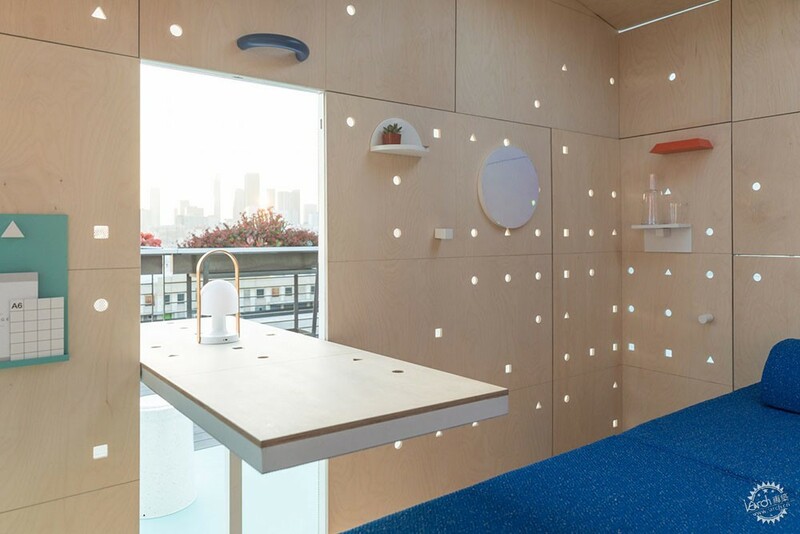 It is the third iteration of the Urban Cabin, an ongoing project spearheaded by car brand MINI to explore possibilities for the future of living, following versions in London and New York. 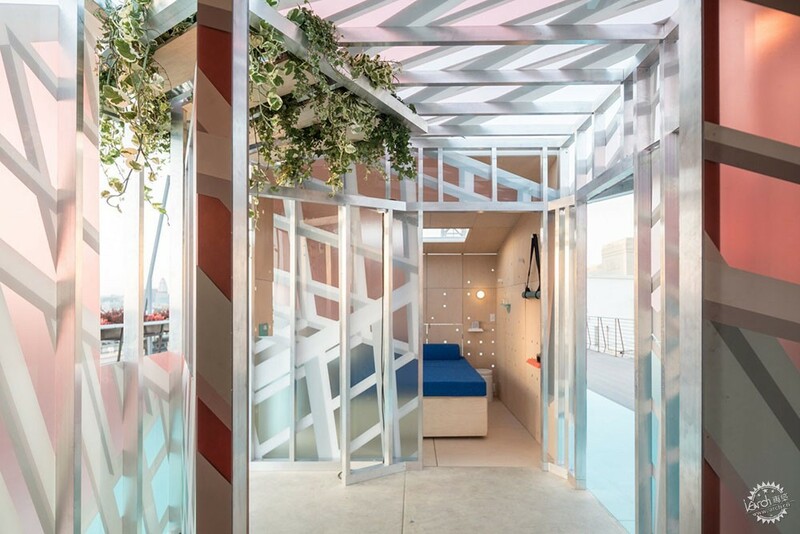 Each time, a local architecture firm is asked to adapt the cabin's 15-square-metre modular base structure, so the tiny home becomes suited to its location. 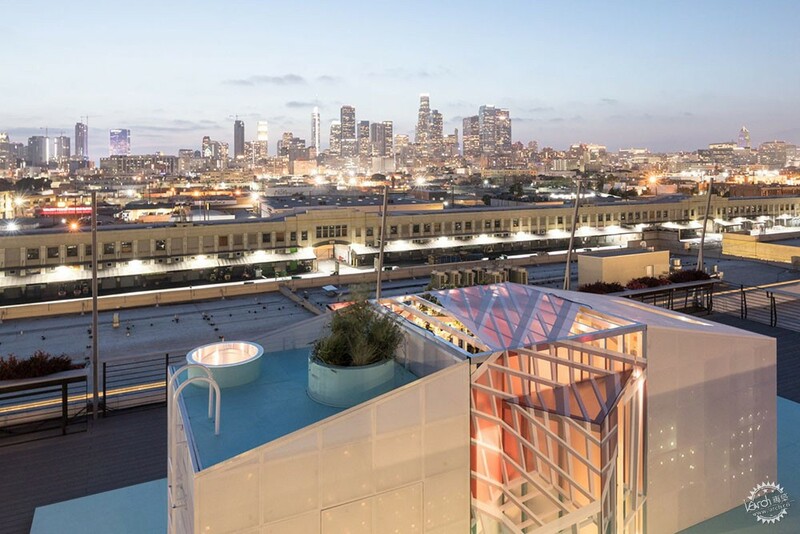 FreelandBuck's installation was situated on the roof of one of the former industrial buildings that make up ROW DTLA, which acted as a hub for the festival. 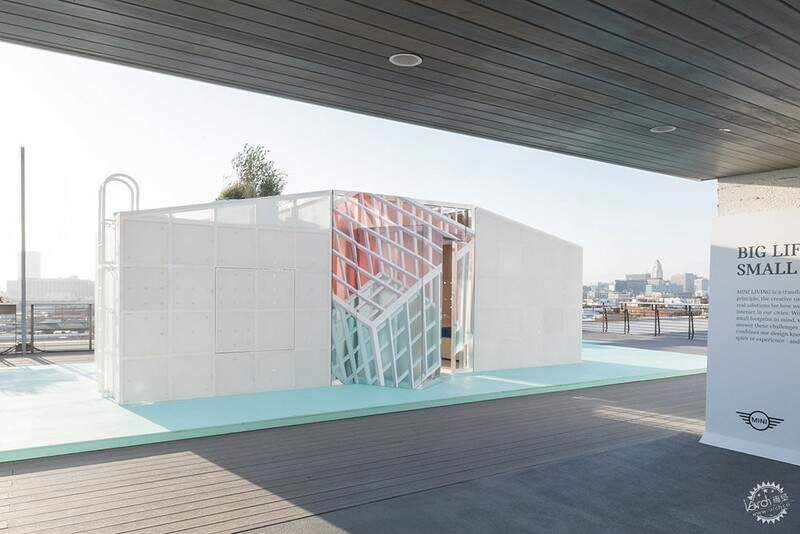 The cabin was split into two parts, with FreelandBuck's main intervention in the centre. 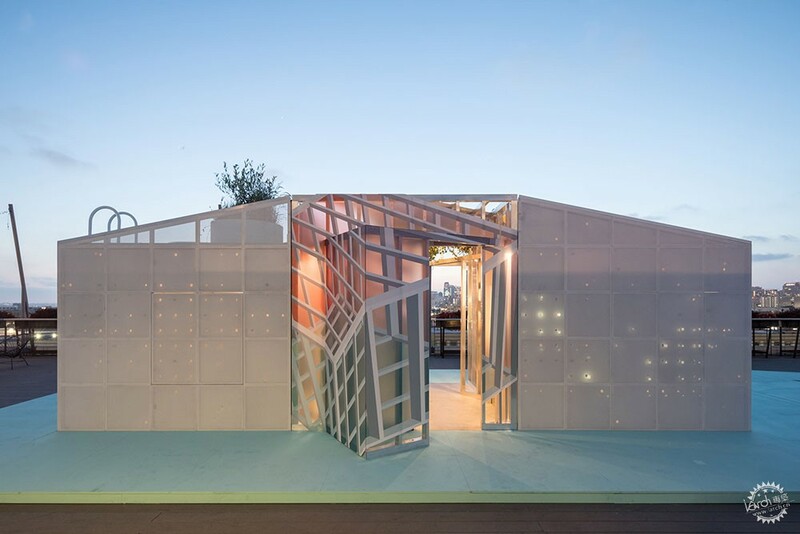 One half contained the bedroom, while the other side housed a small kitchen and bathroom. 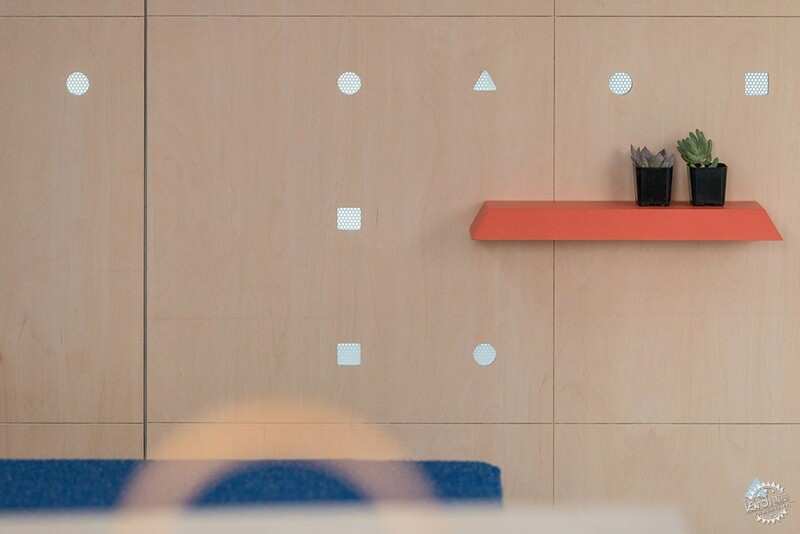 The studio covered the "experience space" in the middle with panels printed with trompe-l'oeil graphics, in blue and pink colours chosen by the team for their associations with LA. 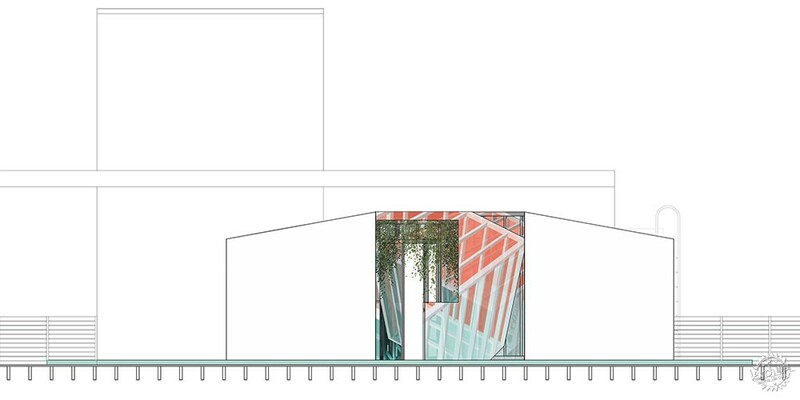 "Two nested boxes constructed with aluminium framing are wrapped in translucent polycarbonate printed with the image of a third box that appears to be projected through the structure," said a statement from the team. 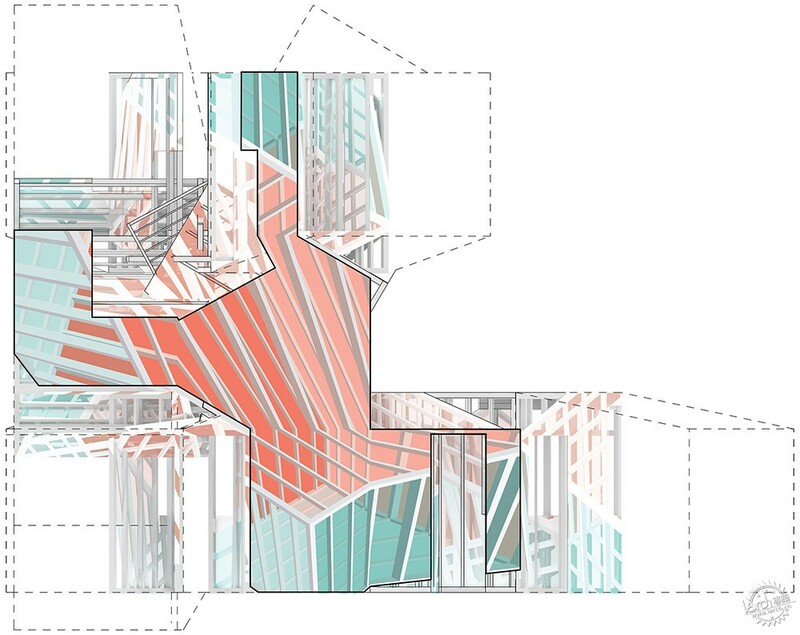 "The three-dimensional graphic surfaces vary between graphic alignment and kaleidoscopic effects as one moves around and through them." 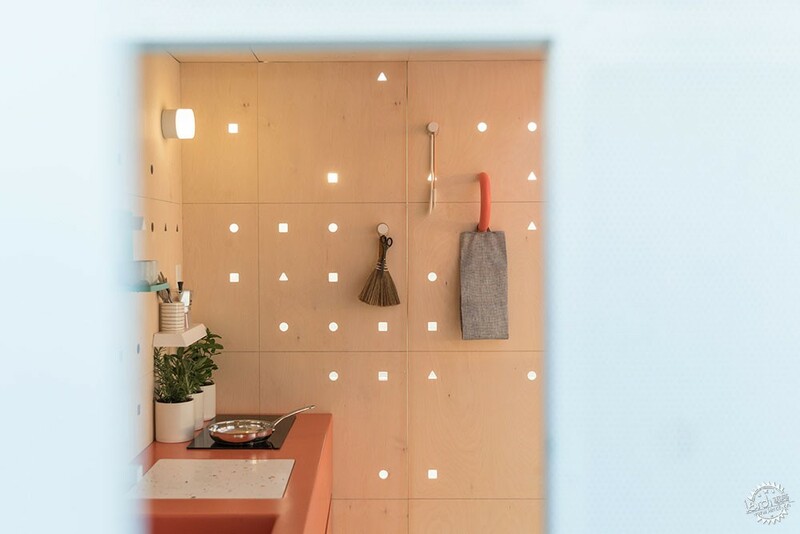 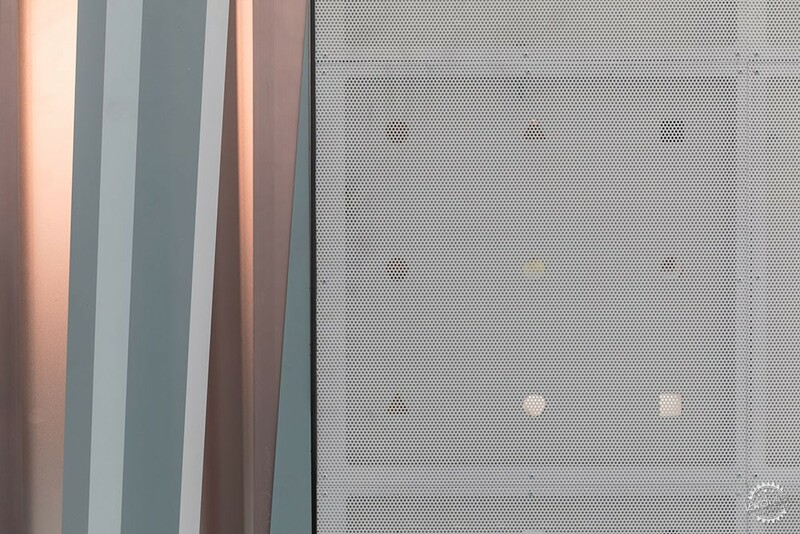 The rest of the cabin was clad perforated metal, which allowed light in through small holes in its inner plywood skin. 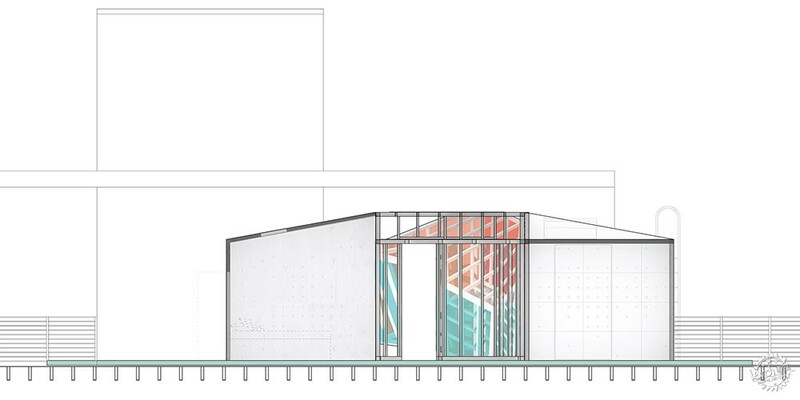 A bright shade of turquoise was used for the platform that the cabin sits on. 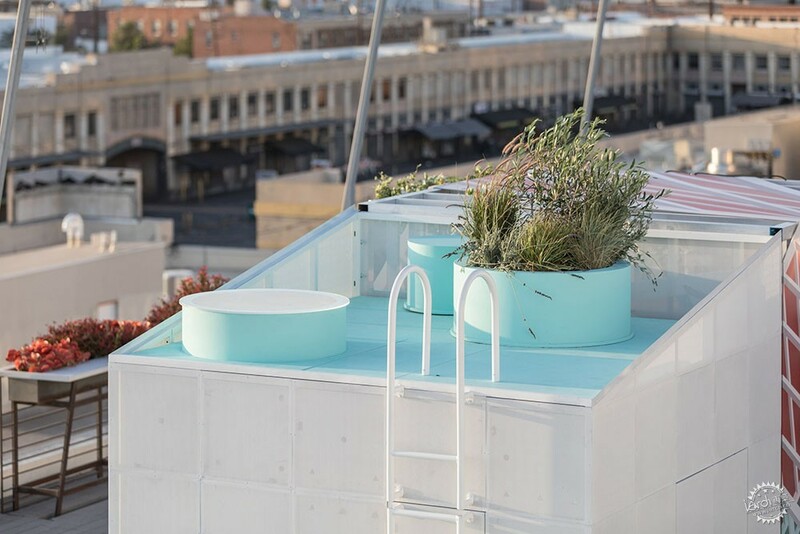 A small roof terrace on one side was coloured the same shade, and was accessible via a ladder like those found at swimming pools. 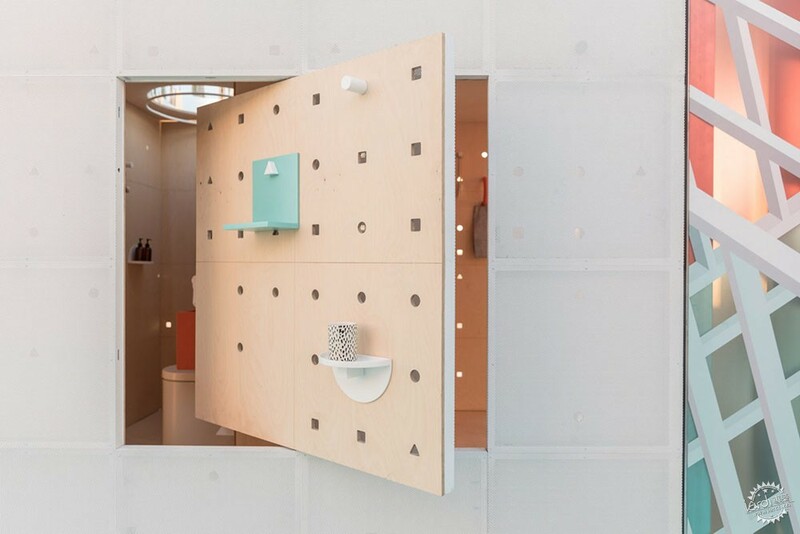 Inside, coral-hued cabinets provided storage spaces and a pegboard wall created a customisable shelving set up. 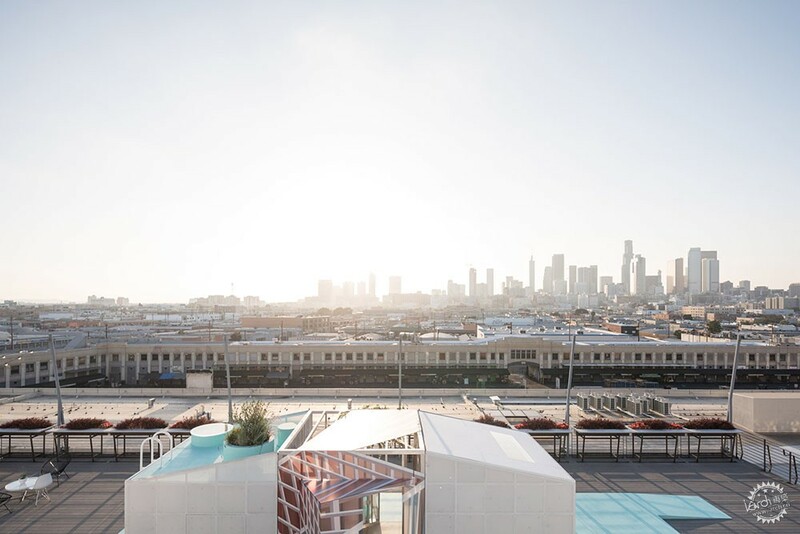 The studio looked to Southern California's warm climate and tradition of outdoor living for its design, incorporating panels that swung open. 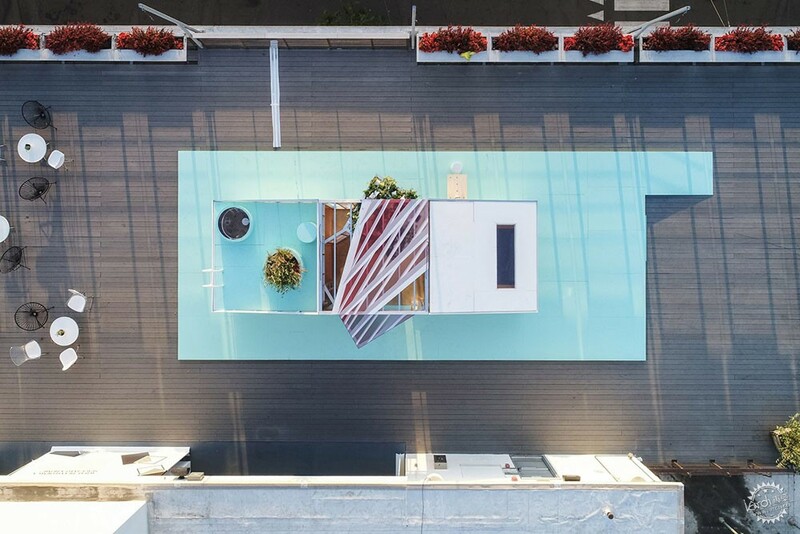 This allowed the bed to be rolled outside so the occupant could sleep under the stars, and windows to be formed in the otherwise closed facades. 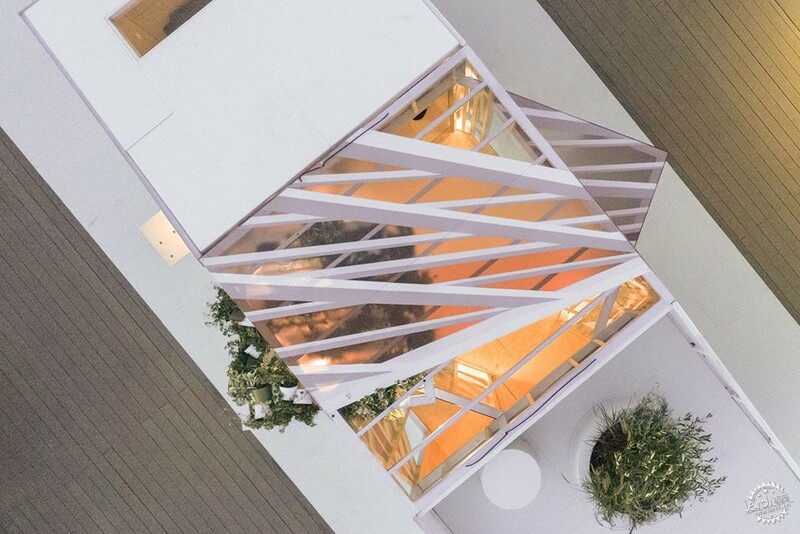 In the experience space, which is permanently open on both sides, plants hang from the ceiling to enhance the connection to the outdoors. 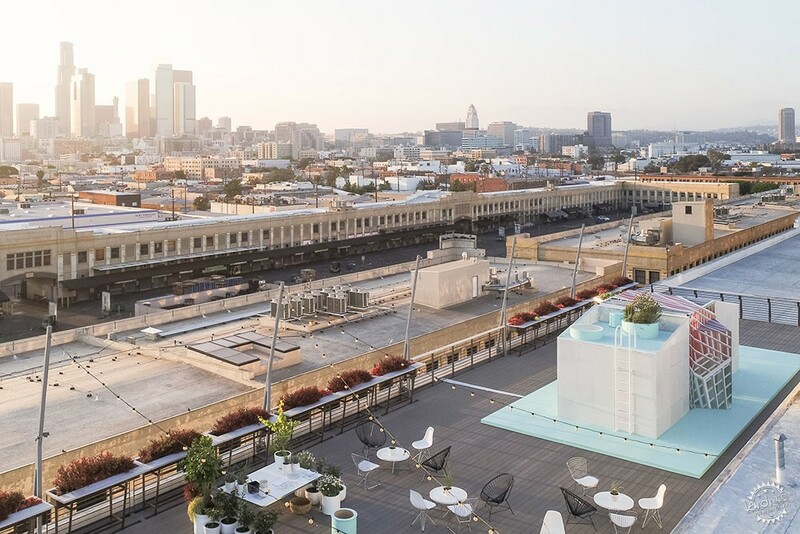 "The indoor/outdoor quality created by the translucent skin is accentuated by a hanging garden which forms another cubic volume suspended from the enclosure," the team's statement said. 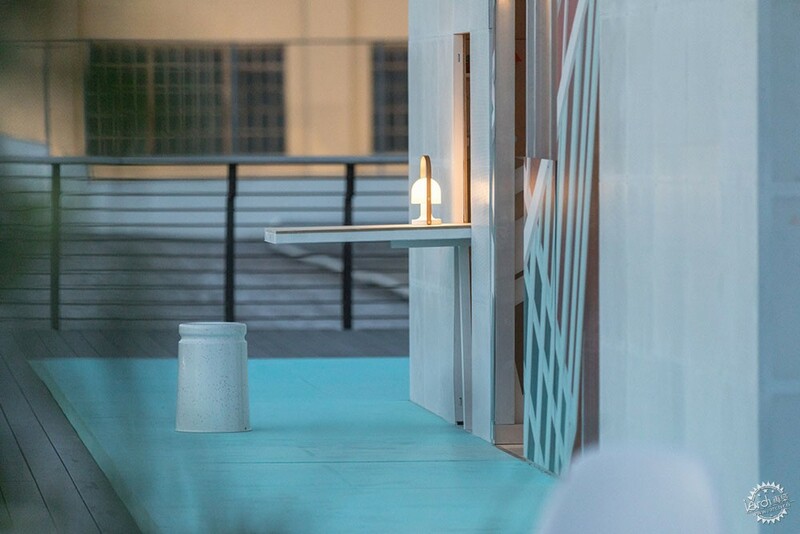 MINI Living was launched by the car company in 2016 to develop and showcasing architectural solutions for future urban living spaces. 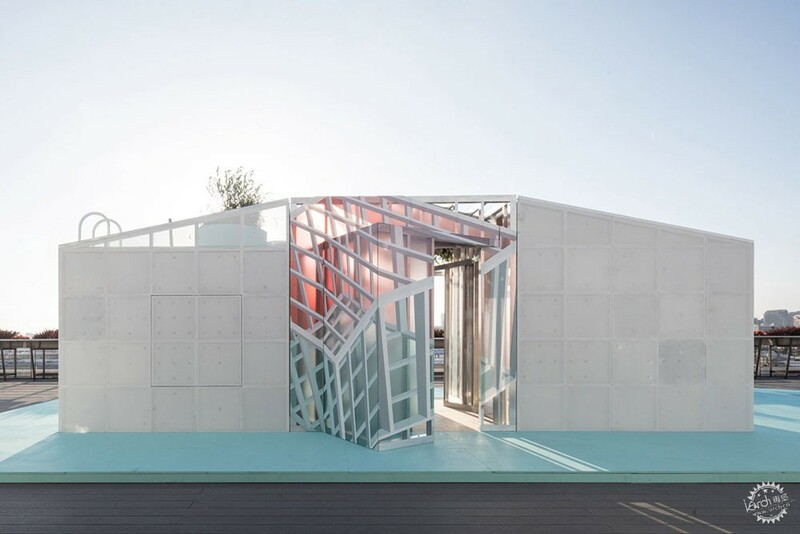 Dezeen has partnered with the initiative from the offset, and is exploring some of the most innovative ideas for housing and cities through a series of movies. 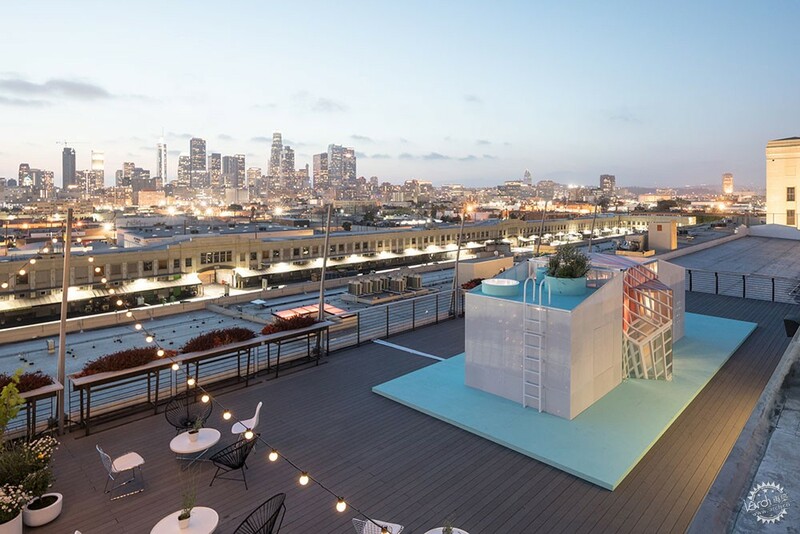 As part of the collaboration, Dezeen also hosted a talk at the Urban Cabin in LA on Friday 8 June 2018, when panelists discussed the rising trend for nomadic working. 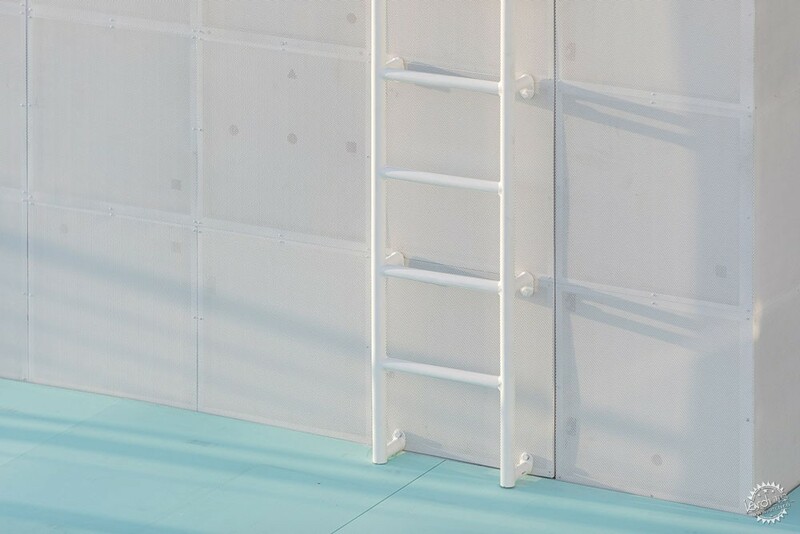 Photography is by Laurian Ghinitoiu, courtesy of MINI.